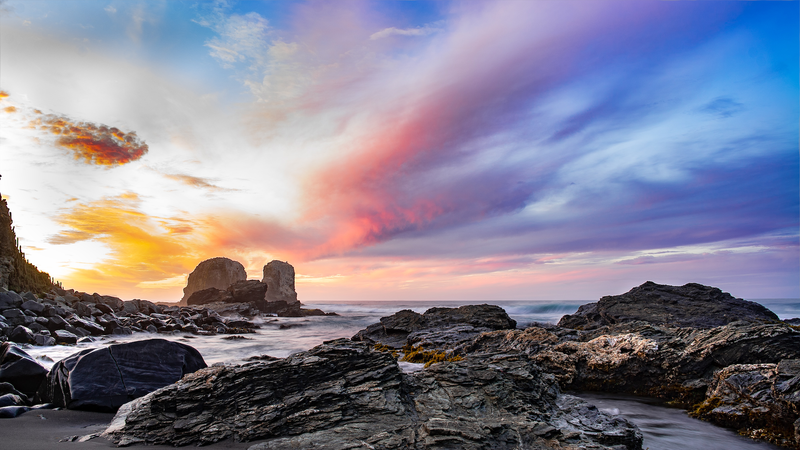 Situated on a rugged section of the Chilean coast, Punta de Lobos is 220kms from the capital, Santiago de Chile. 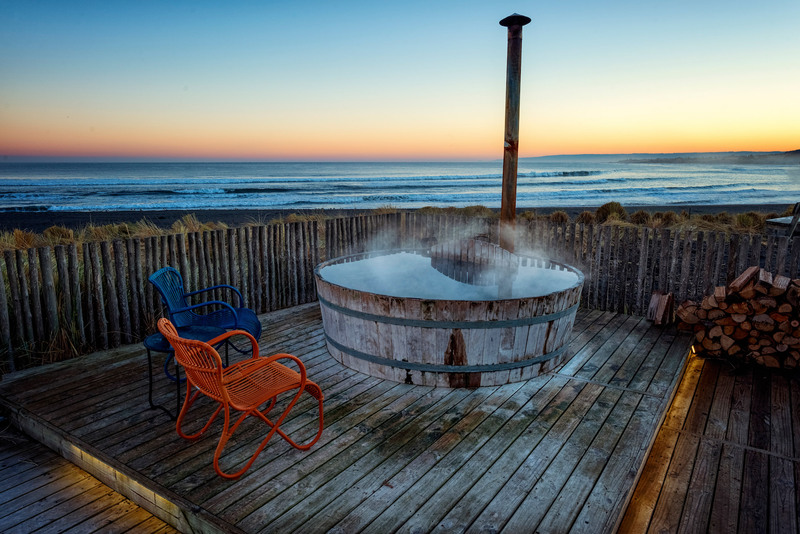 A popular surf hangout, it is famed for its consistent breaks. Away from the crowds, the Punta de Lobos peninsular is wild, raw and windswept. 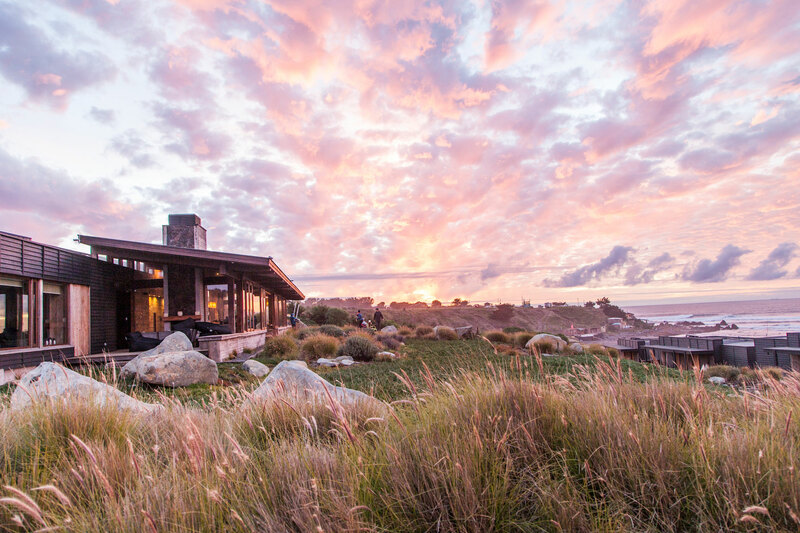 Effortlessly blending with the natural surroundings, Hotel Alaia is designed with Chilean spirit in mind. 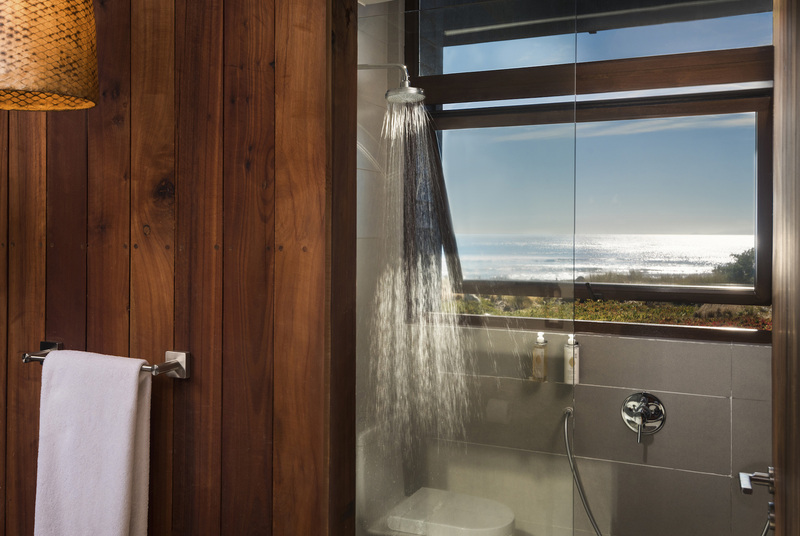 Sustainably built, native oak is used in combination with black rock and recycled materials from the 2010 earthquake. 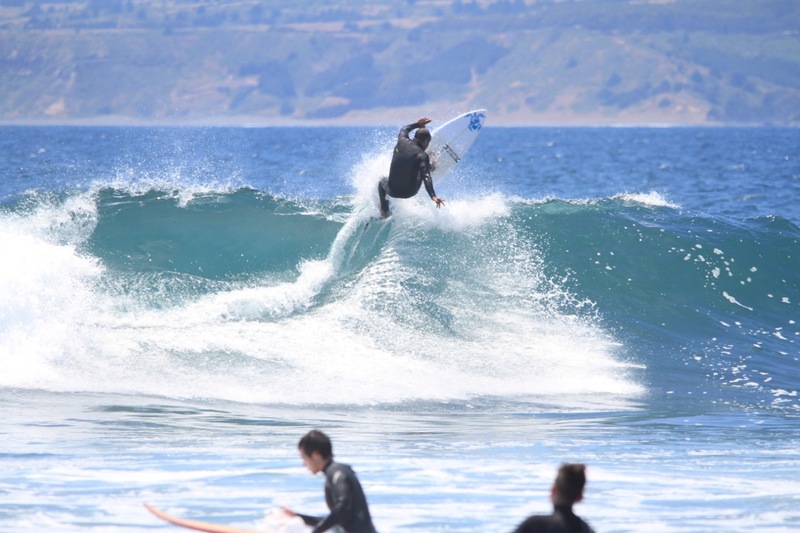 Once a sleepy fishing village, Pichilemu was put on the map by Chilean surf star Ramón Navarro. 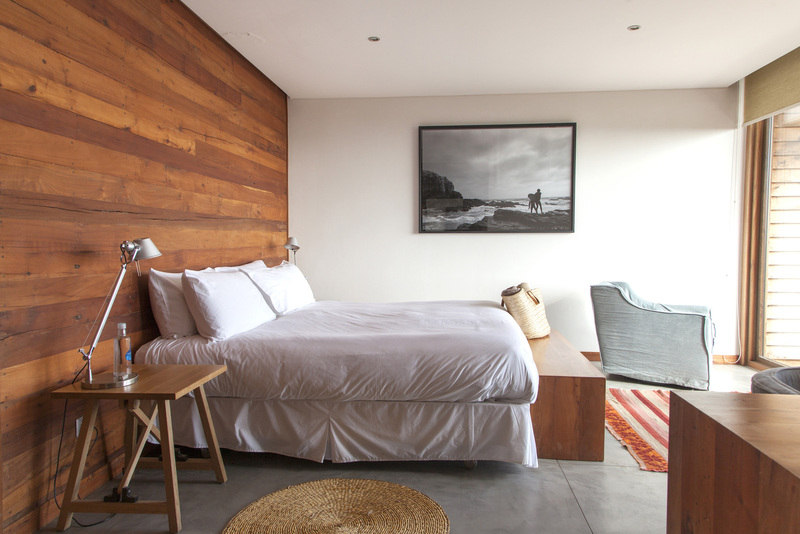 Just a 10-minute drive from Punta de Lobos, it’s not just for surfing fanatics though. Full of hidden art galleries, exclusive in-home visits of Chilean artists like Beatriz Hagel and Isabel Klotz can occasionally be arranged upon request. 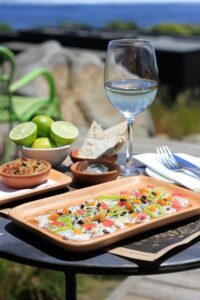 Pichilemu’s burgeoning food scene invites visitors to sample wholesome, simple and fresh cuisine. Try local delicacies like wild sea asparagus, black ink risotto, sorrel, and sea clams. At Hotel Alaia, guests are housed in 12 private bungalows. Spacious and comfortable, each has floor to ceiling views of the coast and a terrace with direct access to the Pacific Ocean. Design wise, rooms are minimalist and neutral in colour palette. Colourful woven textiles add warmth while small details like old school style surfboards add depth to the space. There are panoramic views in the lobby while paintings and sculptures created by local artists are displayed throughout communal spaces and the rooms themselves. 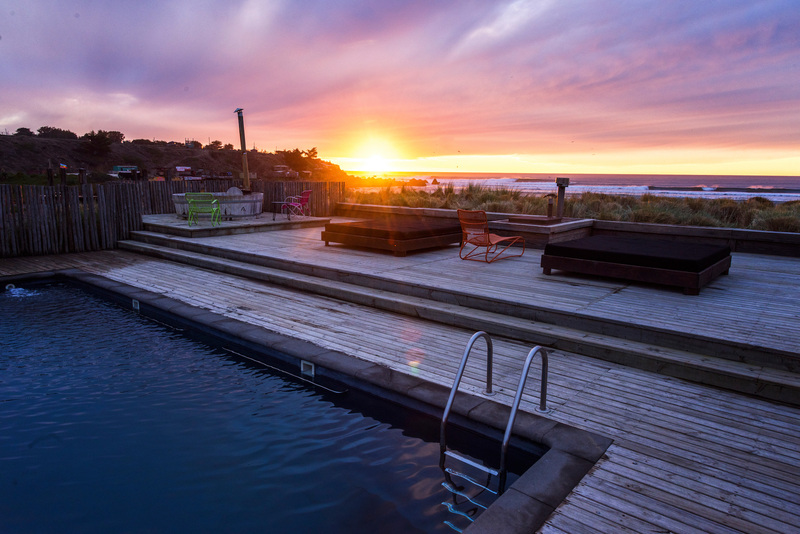 Walking along wooden decking that leads to the ocean, guests are greeted by a pool and two hot tubs. 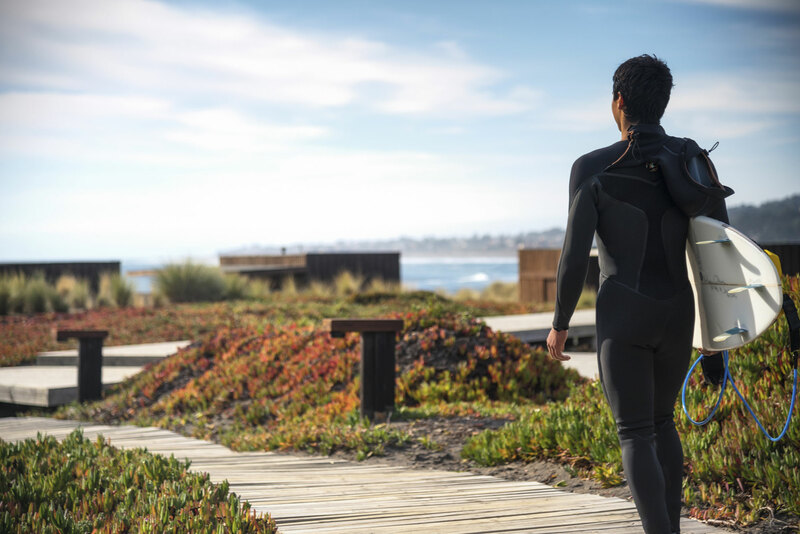 Take a class at the property’s private surf school exclusive to guests. 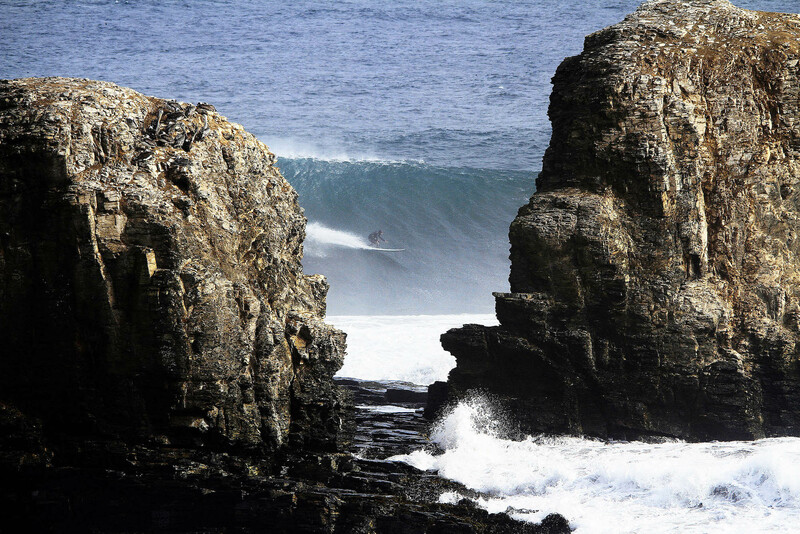 Jump on a board, float out to sea and take on the infamous ‘El Diamante’ wave. Fortunate with almost perfect wind conditions, there is kitesurfing, sailing and windsurfing for travellers looking for adrenaline. 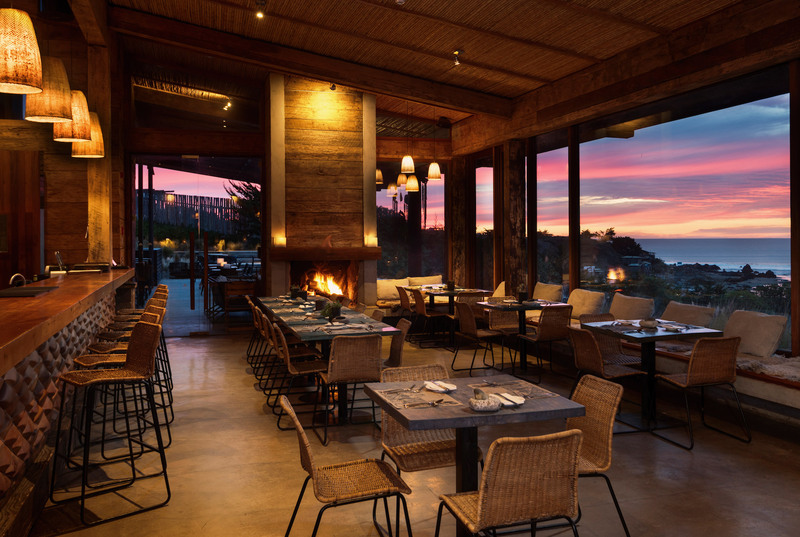 Dine fireside, looking out at the craggy coast. Below, fishermen reel in Pacific rockfish and select shellfish, forming the basis of head chef Juan Morales’s seasonal menu. Prioritising the local economy and remaining sustainable, (nothing travels more than 60 miles), is important to Hotel Alaia. 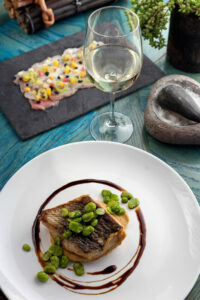 Salt and quinoa are sourced from Cahuil, while the nearby Colchagua Valley provides a diverse selection of wine. Oenophiles can join in on occasional wine tastings led by a sommelier. To see the coastline from another angle, Alaia has a store of stand up paddle boards. 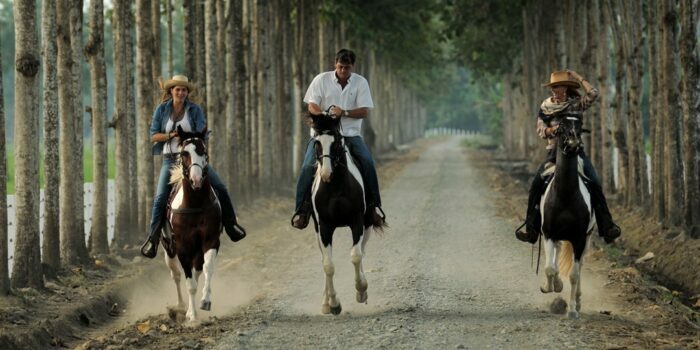 There is also sunset yoga and horse riding. 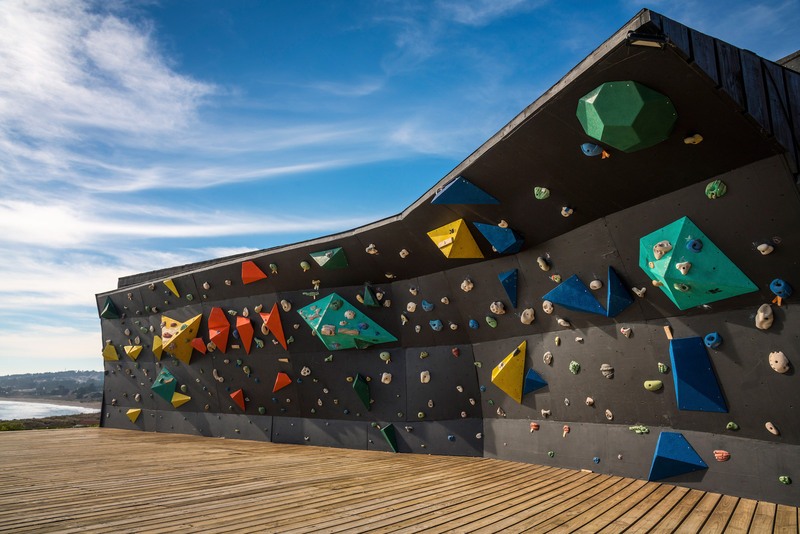 Alaia has a skatepark and a rock-climbing boulder wall. For a slower pace, relax at the property and arrange a private massage. 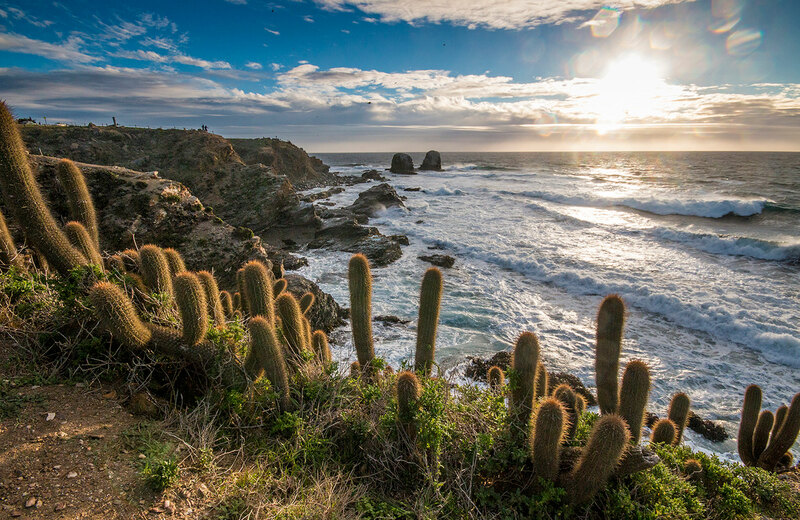 Preserved by the Punta de Lobos Foundation, the peninsula is an area of outstanding natural beauty. 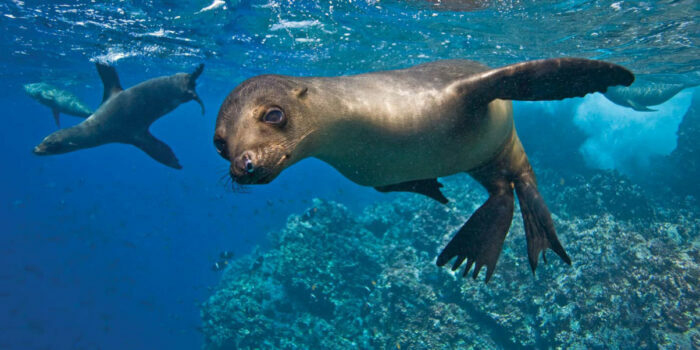 Flora and fauna rule meaning the region is more of a rustic hideout than a beachside resort. 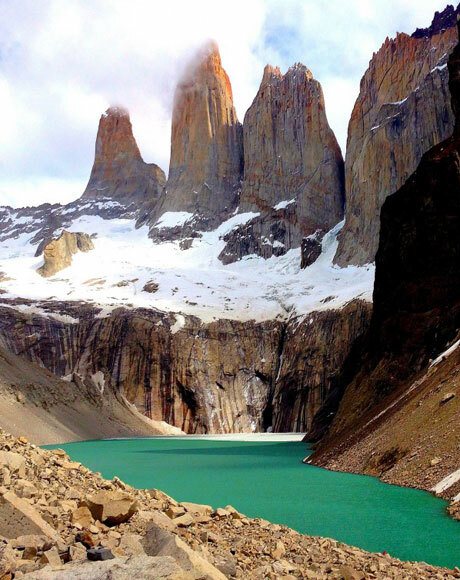 Away from the water, spend an afternoon exploring mountains, forests and coastal cliffs. Hop in a boat and row across the Cáhuil Lagoon. Discover the nearby salt mines, which Alaia uses as a source for their in-house restaurant. 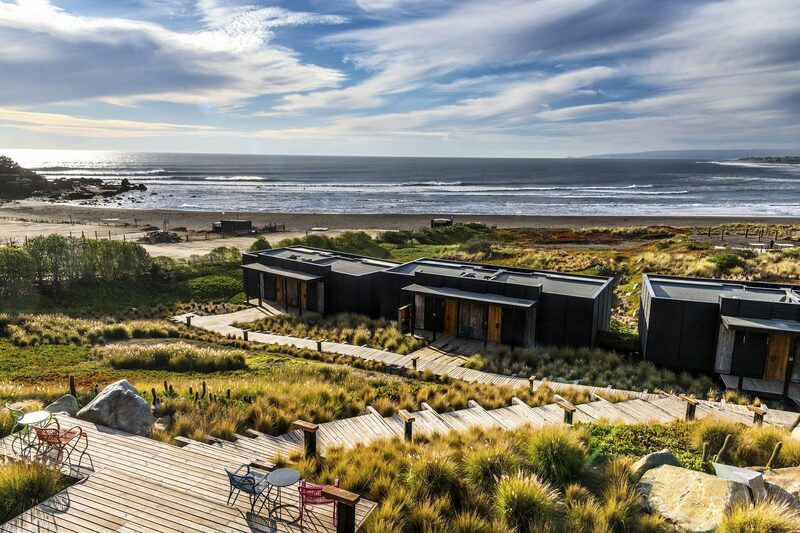 A journey to Punta de Lobos and Pichilemu can be combined well with a road trip along Chile’s coast extending down into Patagonia. Call our travel designers to find out more.